Let's create the second page 'Select Pizza'. 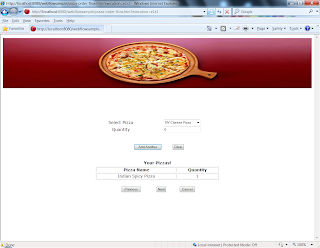 In this page, we will show a drop down of available pizzas. This page will have buttons 'Add', 'clear' in addition to navigation buttons 'Next', 'Previous', 'Cancel'. 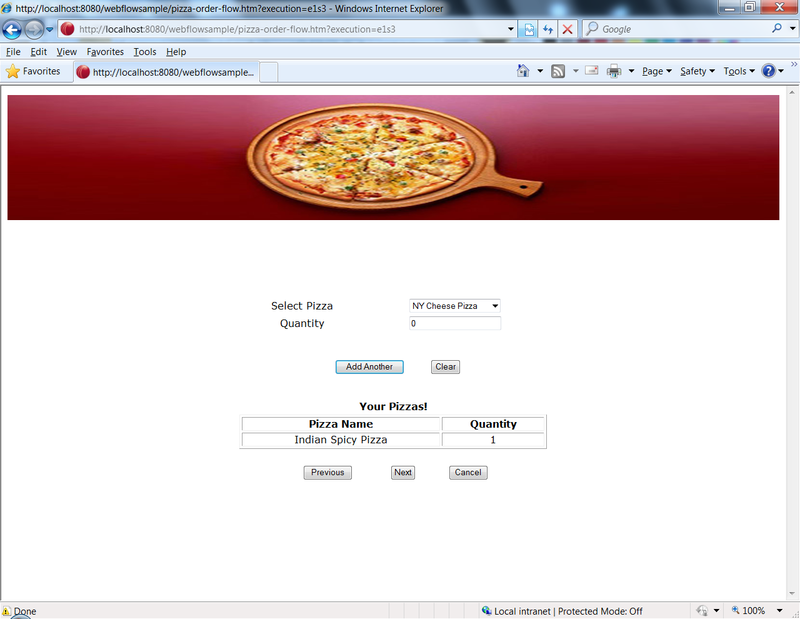 Once the user has selected a pizza, the user can click on 'Add' button to add the pizza to the user's cart. The user can use the 'Clear' button to clear the cart, if he wants to start all over again. In order to initialize the collection for this drop down, we will create a new method 'initPizzaList' in the controller. We also need a method to initialize the Pizza object which will be the model for the jsp. Further, we need a controller method 'addPizza' to update the Order model with the pizzas added. We also need a 'clearPizzas' method as well. 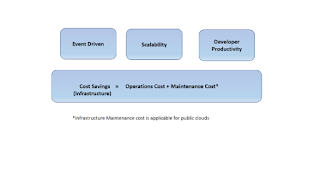 If you observe the above view state, the model object is defined with view scope. This is because, the Pizza object will need to exist only till life span of the view and once user clicks on 'Add' this Pizza object will be added to the Order objects pizzaList. The addPizza() method, will accept two parameters, first is the Order object from the flowScope and second is the Pizza object from the view scope. So, from the third page onwards, the view Scope 'Pizza' object will not be available and only the 'Order' object from the flow Scope will be available.